The General Services Administration has agreed to help the U.S. Marine Corps buy technology platforms and logistics services through a performance-based contracting method. 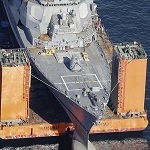 Both parties also established the Partnership Agreement Council to identify methods to update information technology systems and manage supply chain operations for the service branch's procurement efforts, the GSA said Tuesday. PAC members will hold a meeting on a quarterly basis to share information with each other. 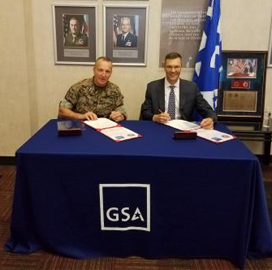 Lt. Gen. Charles Chiarotti, deputy commandant of installations and logistics at the Marine Corps, and Alan Thomas, commissioner of GSA's Federal Acquisition Service, signed the performance-based agreement Aug. 29.